This course will explore the phenomena of corruption in the sports industry globally. The act and practice of corruption will be defined and case studies on corruption will be explored from historical and contemporary perspectives. The course will also identify the main governing and policy making bodies to combat corruption exploring their roles and effectiveness. Corruption will be discussed as it relates to ethics and governance in sports. Core issues in sport corruption will be presented with the focus to see what can be learned and understood from sports corruption past and present. This course requires a final paper. This course is divided into two main sections and presents the basics of specific managerial activities necessary for governance, policy development, and financial administration in sport organizations. In the first section of the course, theoretical underpinnings for sport governance are presented, in relationship to the management functions of planning, organizing, decision making, and strategic management. In the second section, necessary characteristics of ethical decision making and social responsibility are examined as they are applied and implemented in the governance structures of various sport industry segments including scholastic sport, community amateur sports, campus recreation, intercollegiate athletics, Olympic Sport, Paralympic sport, individual professional sports, and international sports. This course is designed to provide students with an overview of the major issues in the world of sports. All primary issues impacting contemporary sports are covered, including performance-enhancing drugs; human growth hormones; gender inequity; race and ethnicity; you, adolescent, and adult programs media involvement; economics; management structures; and globalization. This course is required in the doctoral program cores. This course requires a final paper. This course is a focus on the theoretical study of human behavior patterns in sports and exercise settings.  It is designed to provide students with information about research in the field of sports psychology as well as with practical knowledge to allow them to become more effective fitness instructors, athletes, athletic administrators, physical educators, or coaches. This course includes selected topics in organizational behavior. This course is required in the doctoral program general core. This course requires a class paper. The goal for this course is to conduct database searches on an approved topic in sports theory. In this course students will present a comprehensive analysis and application of the approved topic within the scope of sports theory. It is advisable to compile readings and research on topics that may relate to one’s dissertation topic. This course requires a class paper. This course is designed to provide an examination of effective leadership. Students will examine general concepts of leadership (theories, principles, traits, skills, etc.) that are necessary to every sports organization. The course is designed to give individuals a practical look at numerous aspects of leadership. Success in a leadership position is often related to an individual’s preparation, experience, and knowledge. This course is required in the doctoral program general core. This course requires a class paper. This course is designed to provide an analysis of strategic planning, including the development of vision and mission statements and the use of environmental scans, gap analysis, action planning, and benchmarking. A variety of strategic issues in sports will be explored. An understanding of the policies and mechanics of strategic planning in sports will be examine and analyzed. This course requires a class paper. This course will assist sports professionals with improving the communication process. Effective communication is needed to lead a sports organization successfully. Problems that may occur in a sports organization as a result of people failing to communicate properly are identified. A variety of communication skills are explored. This class requires a final exam. This course explores a variety of contemporary notions of leadership, including traditional theories, salient models, new domains, and the importance of understanding change. The course will allow you to explore how leadership theory can inform and direct the way leadership is practiced. Included are leadership topics, research finds, questionnaires, case studies, and everyday applications. This course requires a class paper. The integration of concepts in the major disciplines of business, management, marketing, finance, information technology, accounting, ethics, and law as they are applied to sport is at the core of course management and undergird the structure of this course. Understanding the specific and theoretical applications of these concepts in the contemporary environments of the multi-billion dollar sports industry is the primary focus of this advanced level course. This course is required in the doctoral program core. This course requires a class paper. The objective of this course is to expose students to advanced topics in the study of sports marketing. Specific topics in the course include advanced sports marketing theory related to consumer behavior, advertising, sponsorship, e-commerce, and global marketing. The information acquired in this course will equip students for a career in sports marketing or a related field. This class requires a class paper. An in-depth examination of areas of the law that are particularly relevant to sports. Specifically, developments in negligence law, contract law, and constitutional law as they apply to sports are considered, and recent developments and trends are studied. This course is designed to build on previous studies of law and sports to provide students with opportunities for in-depth study and appreciation of the legal aspects of sports and the most significant current impacts of law on sports. This course is required in the doctoral program general core. This class requires a final paper. Widespread dissemination of knowledge has the potential to decrease the rate of concussions occurring in sports, as well as improve the current guidelines in place. This course provides an in-depth review of the risks, prevention, recognition, treatment, and management of sport-related concussions. This course also discusses the importance of awareness and education strategies for coaches, athletes, parents, administrators, and health care professionals. This course requires a final exam. In this course, the administrative components of Sports Medicine are explored. Topics include advanced concepts of legal liability, financial management, scheduling, supervision, documentation, and general administration. This class requires a final exam. This course is an advanced study of historical foundations, contemporary trends and issues, organizational planning, and risk management in the field of Sports Medicine. Topics include an in-depth case analysis of the role of Sports Medicine, traditional and non-traditional settings in Sports Medicine, and the impact of health-care reforms on the profession of Sports Medicine. This class requires a class paper. This course is designed to develop a comprehensive understanding of exercise physiology and the scientific principles used to evaluate physiological components. Through selected readings, past and current research will be evaluated and considered for future research and application in the health and fitness industry. Topics include nutrition, bioenergetics, cardiorespiratory physiology, neuromuscular physiology, and endocrinology. Prerequisite: Masters Level Exercise Physiology This class requires a class paper. The health and fitness industry is dynamic. Constantly new research is changing the way we think about health and fitness programs and design. Through selected readings, current “hot topics” in the health and fitness industry will be evaluated. Topics include nutritional, exercise physiology, strength and conditioning, cardiorespiratory fitness, and body composition. Prerequisite: Masters Level Exercise Physiology This class requires a class paper. The focus of this course is to develop a comprehensive understanding of the physiological principles, mechanisms, and program design necessary to plan, evaluate, and modify exercise programs. Particular attention will be given to periodization techniques. Through selected readings, past and current research will be evaluated and considered for future research and application in the health and fitness industry. Topics include speed, power, strength, hypertrophy, agility, bioenergetics, program design, and periodization techniques. Prerequisite: Advanced Exercise Physiology and Scientific Principles in Fitness and Health This class requires a class paper. This course will introduce research design methods to sports professionals employed in a variety of settings. The format and techniques for writing a scholarly research paper will be presented. Various types of research commonly used in Sports Management are reviewed. Descriptive and inferential statistical analyses are covered, with an emphasis on their application to sports. This course is required in the doctoral program research core. This class requires a final exam. The goal for this course is to conduct library database searches on an approved sports topic. This course is a comprehensive analysis and discussion of selected aspects of sports. It is advisable to compile readings and research on topics that may relate to one’s dissertation topic. The focus of this course is to support a student’s specific research interests. This course is required in the doctoral program research core. This course must be taken during the student’s final semester of course work. This course requires a class paper. Individualized study is directed by a qualified graduate faculty member in a specific interest area. It is designed to provide flexible alternatives, and it is personalized to the individual student. This course may involve scholarly research, data collection and reporting, preparation of educational materials, or the design and application of policy and programs. It requires the permission of the Director of Doctoral Studies and the Chief Academic Officer prior to registration. This entails 300 contact hours of supervised work in Sports Management in schools, colleges, universities, businesses, or industries. The Mentorship Handbook can be found in the Student Portal. The Handbook reviews all requirements and provides a checklist to be followed. To be eligible to register for the Mentorship, a student must have completed the General Sport Management Core, be in full-standing, and have a GPA of at least 3.0. The mentorship is required in the doctoral program general core. This class requires a paper. The dissertation is an original piece of research completed by the candidate on a topic related to the candidate’s area of specialization in Sports Management or in management within Olympism, Sports Coaching, Sports Health & Fitness, Sports Medicine, or Sports Theory. It is developed under the direction of a dissertation chairperson and two committee members. The dissertation experience includes two oral presentations, the dissertation proposal and the dissertation defense. These presentations may be made on the Daphne campus or by web or video conferencing. The research project plan and associated data collection procedures are presented at the time of the oral proposal. A final oral defense of the completed research manuscript is scheduled following data collection and statistical analysis. Both presentations shall be augmented by the use of PowerPoint technology. This course is required in the doctoral program research core. The Portfolio focuses on research which is the foundation of doctoral study. When completed, the Portfolio will be a clear academic portrait of the candidate as it relates to interest, scholarly ability, writing capability, independent and critical thinking, and research capability. At the core of the Portfolio development is the concept of “Success Orientation” for the candidate. It is a self-correcting project with numerous points of intervention to ensure candidate success.